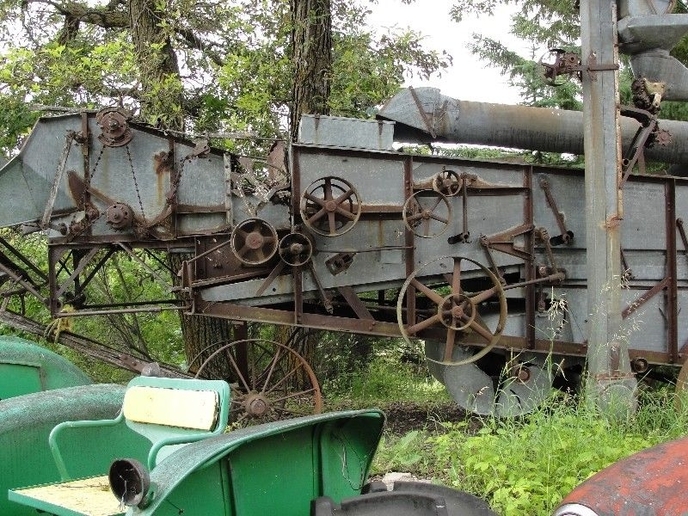 I have found myself of late wanting to purchase a threshing machine. There is one a few miles away from me for sale right now, and while I haven't seen it in person yet, the pictures look like it might be promising. Anyone have a guess as to the year? Or access to a manual? Or perhaps how much to offer? There was one at Crandall Mb. I got the TC tractor. I've seen way too many threshers go for almost nothing at auctions, etc, but there aren't nearly as many around now as several years ago when scrap prices got so high. I feel bad about a sale back then - they had a nice old Minneapolis thresher that brought several hundred dollars to a scrapper. I traded him out of the serial tag, but had already bought several tractors at that sale and couldn't get that one, too. I've seen a super nice, barn shedded one a while back bring $2,600. I think it was a Red River Special. It still had good wood, nice paint, and came with a flat belt or two. Good luck on getting it! like anything else, if you are handy and have the time it will be fun and rewarding. 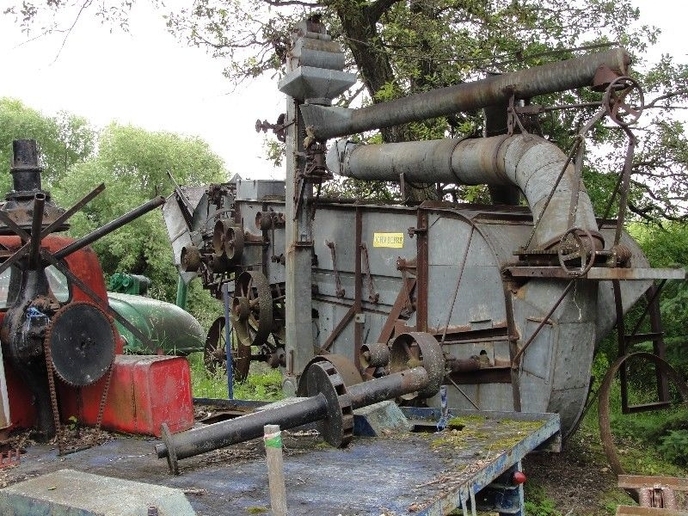 It's such a shame that so many threshers were sent to the scrap yard over the last decade. We have a threshing show every year here in Austin, MB and it's so nice seeing so many threshers and steam tractors up and running. I'm going to go take a look at this one in a day or two, and even though it looks like it might be missing some stuff from the pictures, I may still pick it up if the price is right. It's strange, from the pictures it almost looks like a Red River Special on the front end, but the tags are there and the pulleys look like they match a TC, so we'll see when I get there. Well currently he's asking $300-500,so even without belts I think that's perfectly reasonable. As a bonus, it's only a few miles from home, so I can easily pull it home without a trailer if it's solid enough for a short drive, though I would probably still use a trailer just for safety. the summer. Otherwise, we have hauled some on the trailer with a winch. look the same also, I can't say on the Twin City machines but that could be why they look similar. Looks good. Where is serial number located ? I've been told that it ran before, so it'll definitely be a bit of an oddity if that's true. It's a shame this came up when it did. I would have had access to about 15 fully running threshing machines to compare to if it had been last week. That's what I figured. It's about 5 miles away, so I'll probably just hitch up to the tractor and take a nice leisurely stroll home. Hopefully it turns out! I'm not too sure. Those are the only two pictures I've seen so far, but when I go look at it I'll let you know! I've never been to Crandall. If I'm heading out west in the next while maybe I'll drive around a bit and see what's there.